Garden stairs and landscaping steps made of tree trunks or large timber or treated wood pieces naturally blend with the surrounding, offering beautiful green design for your outdoor spaces. Simple and charming outdoor stairs and landscaping steps made of wood add nostalgic flavor, charm and unique character to your front yard or backyard landscaping ideas. 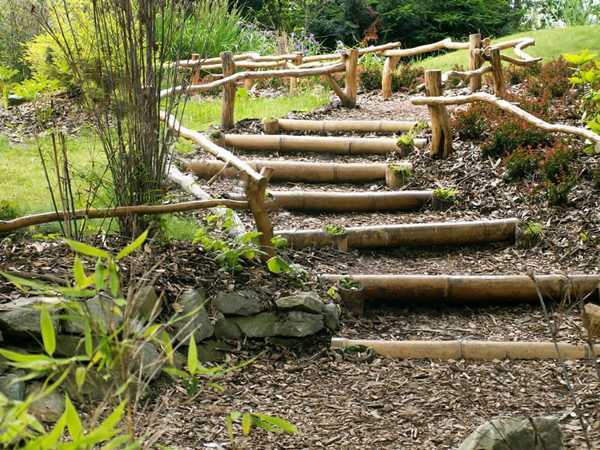 Simple and easy to make outdoor steps and landscaping steps, made of fallen tree trunks or reclaimed wood pieces, provide a comfortable way to access and enjoy your garden, beautifully define the path to your pond and outdoor rooms, adding more comfort, style and country living feel to your landscaping ideas. Beautiful outdoor stairs and landscaping steps allow to walk comfortably without the risk of stepping on your flowers even if your garden sits on a slope. 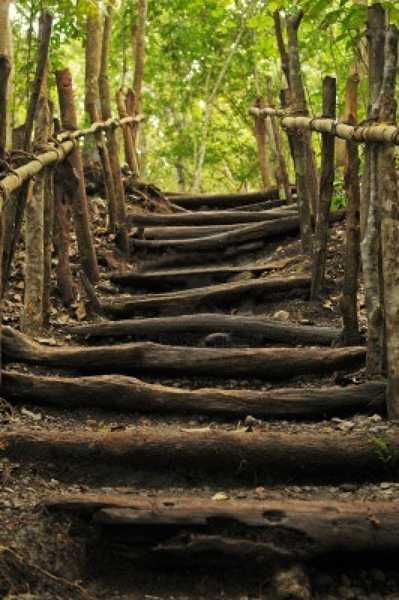 Using the salvaged wooden beams, thick wood boards, square or rounds cuts from tree trunks requires the least amount of preparation work and effort compared to all other typical garden stair design materials, like bricks, cement, gravel, sand and stones. Tree trunk rounds look especially gorgeous in the garden. They also lend to a more natural and pleasant look of your landscaping ideas, creating a beautiful garden design and improving your slope landscaping ideas. Wood recycling ideas used for garden design make your property more inviting, comfortable and pleasing to the eye. The use of fallen tree trunk rounds is also an economically smart decision, as you can often use your fallen trees or get them free or very cheap from farmers cutting their own firewood. 1. Lay out your tree trunk rounds or large wood pieces in your yard or on a sidewalk. Laying out the outdoor stairs parts allows you to determine which one fit best for your landscaping steps. Determine how you want your landscaping steps to go through the garden and plan your outdoor stair design. You may want to lay steps so that you can reach each part of your garden from a different step, or you may want to create a walkway from one side of the garden to the other, defining beautiful landscaping ideas with a few outdoor stairs. 3. 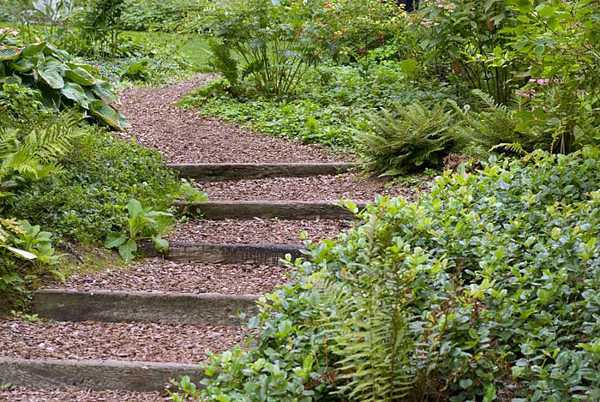 Place your first wooden piece for the first step at the bottom edge of the garden or path on a slope. Place the second wooden piece so that it makes walking comfortable. Pack the dirt underneath the second step until it is stable and secure it before continuing to the next step. Repeat the process until you have completed your landscaping steps.